As always, we receive an amazing amount of entries for our contests, and with two style challenges under our belt, it’s no surprise that the entries just keep getting better and better. 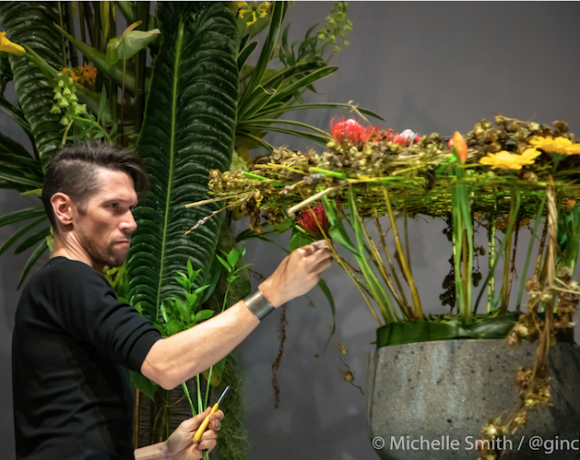 For this challenge, we asked our Instagram followers to create styled vignettes or floral arrangements inspired by our showroom story: Jackie O.
Judging for us this time was Accent Decor’s art director, Margaret Hofland, and the Sales Manager, Eva Lester. 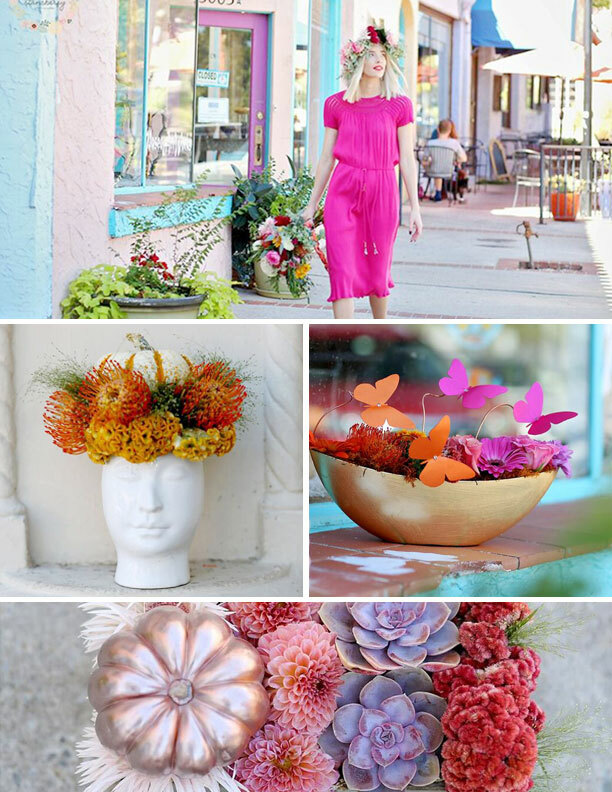 Margaret’s pick was Madeline’s Flowers (@MadelineFlowers) who put together a whole shoot in the Paseo district of Oklahoma City. With roots in the 60s and early 70s, the women of Madeline’s felt this was the perfect location to show off their modern and colorful designs. From the flower crown on our Beau Vase to the gradient of mini pumpkins, dahlias, succulents, and coxcomb, we were so impressed by the bold use of color that hit the nail on the head with color blocking. 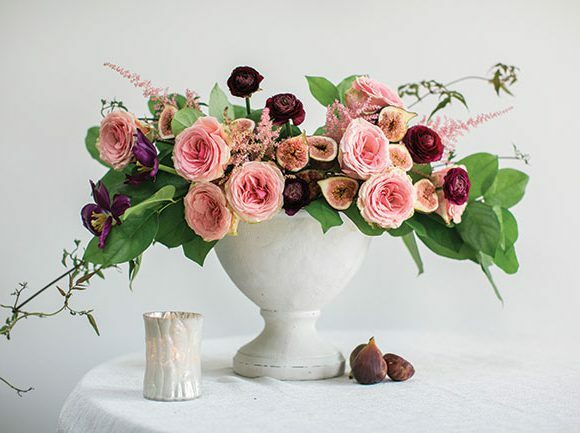 Madeline’s Flower Shop is a 3rd generation florist serving Oklahoma for over 60 years. Started by Madeline Graham, the shop is now owned by Madeline’s daughter and granddaughters, Lenzee, Lacee, and Barbara. Photos for the shoot were provided by Mandy Stansberry Photography. Eva selected Uche of Designs by Oochay (@designsbyoochay) for her beautiful floral arrangement that brought this beautiful styled shoot together. 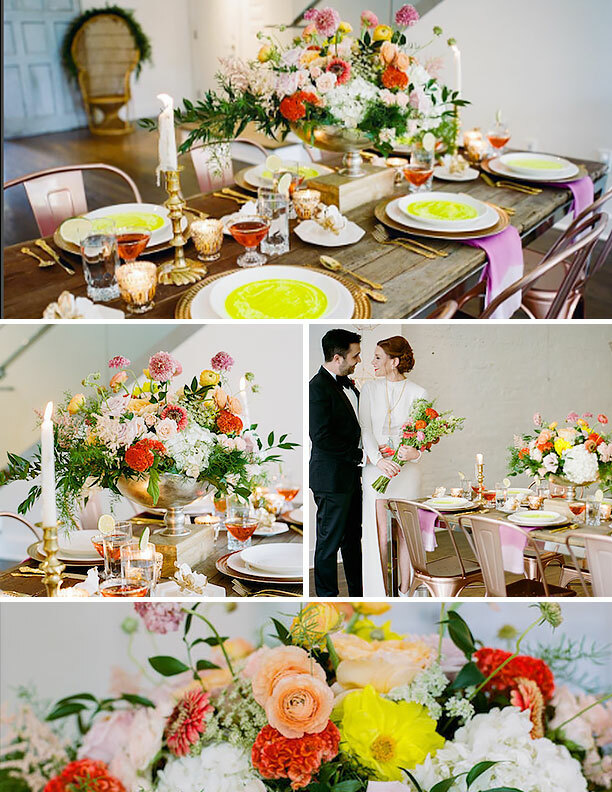 We loved how Uche picked flowers that coordinated so well with the bold and bright details on the table. 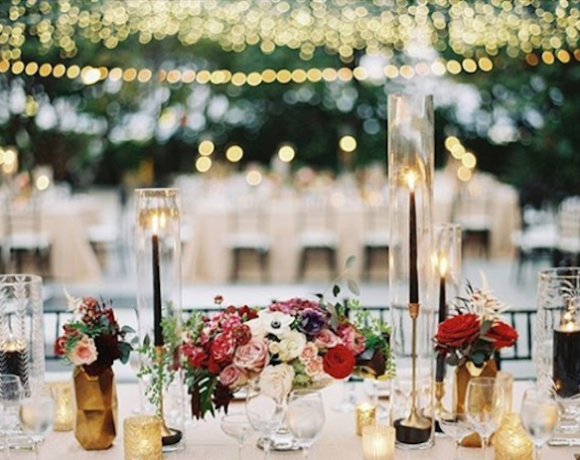 For the florals, Uche used a variety of textures and colorful blooms including ranunculus, zinnias, coxcomb, roses, dahlia, hydrangeas, scabiosa, astilbe, and mixed greenery to achieve the organic, yet bold design.